Jimmer Makes The Cover Of Sports Illustrated! I think every Jimmer fan must have had BYU going to at least the Final Four in their March Madness brackets this past month. 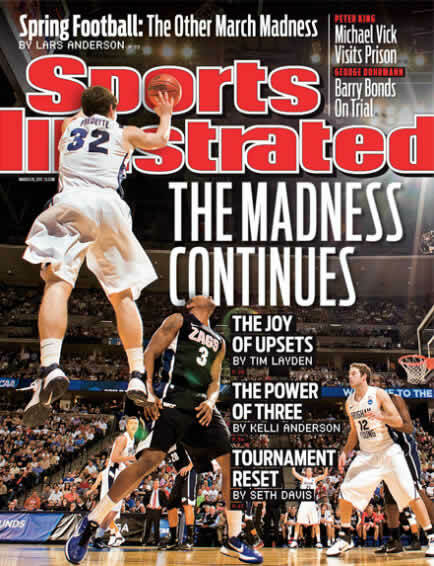 Sadly, they were defeated, but on the bright side, our boy Jimmer made the cover of Sports Illustrated! Not too shabby. I think Robert Beck (the photographer) was probably singing Fredette's new theme song "Teach Me How To Jimmer" after he photographed this shot. What do you think?